We worry about what we eat, but what about what we breathe? I would be willing to bet that most folks who are reading this do not smoke. If they do, surely smokers realize the inherent risk of inhaling toxins. What many non-smokers may not realize is that what they breathe may be unsafe. Here in South Carolina, most homes are built on crawl-spaces. Within this area below the home, there is a network of ducting, H.V.A.C. components and more times than not, stored landscaping tools. Although convenient, crawl-spaces pose a danger if not dry, pristine and clean. As mentioned in my former articles, the ‘Stacking Effect’ is a term common to mold experts. What this means is that up to fifty percent (50%) or more of the air tested in the living space is exactly that of the crawl-space. In short, if an air quality sample taken in your living space revealed five hundred (500 ppm) parts per million, it is likely that your crawl-space would reveal one thousand (100 ppm) parts per million of a specific mold type. All too often, I am called into situations where a responsible homeowner is suffering from all the signs and symptoms of mold exposure. Rarely have I seen a homeowner monitor the condition of their crawl-space. What you do not see can hurt you. What you do not know can cost you money, affect your family, and jeopardize the sale of your home. An ounce of prevention is worth a pound of cure when it comes to mold contamination. 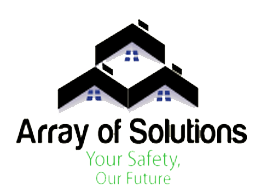 Call Array of Solutions for a free consultation at 864-710-6413. Although we are located in the Upstate, Greenville County area, we are happy to consult and advise.